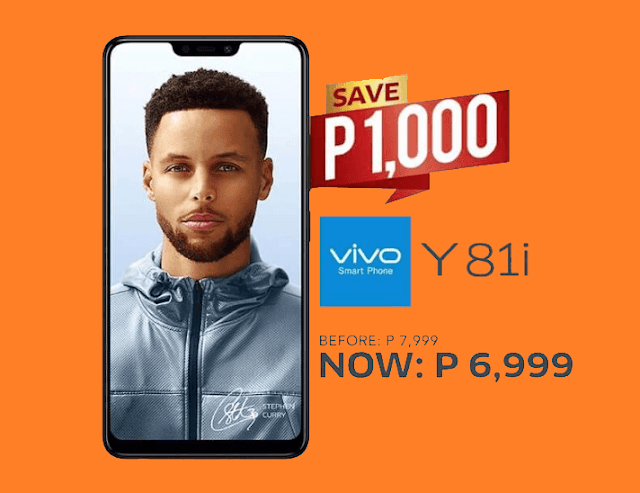 The Vivo Y81i is a entry-level smartphone which was released few weeks ago here in the Philippines. Good news to all Vivo fans, the handset recieve a price cut, making the device more affordable. The Y8li sports an MT6761 processor, 2GB RAM, 16GB internal storage, 13MP rear camera, 5MP front, and 3,260mAh battery. Vivo Y81i is packed with trendy features that you won’t usually see at its price point. The handset features s a 6.22-inch notched screen with a FullView HD+ display. Under the hood, it is powered by a MediaTek MT671 chipset paired with just 2GB of RAM and 16GB of internal storage. The Y8li is ideal for those who are looking for a budget smartphone with a good camera setup, the Y81i might be a good match for you. The handset sports a 13-megapixel f/2.2 main shooter, and 5-megapixel f/2.2 selfie snapper. The device boasts 3260mAh battery, as well, to accompany users on their daily mobile tasks. The Y81i lacks fingerprint sensor but it supports Face Unlock. The device runs on Funtouch OS 4.0 Android 8.1 Oreo. The Vivo Y81i originally priced at Php7,999, but now receives a price cut which consumers can now get the Y81i for only Php6,999. The device can be purchased in official VIVO stores nationwide.